Black Ice Software - Print2Email version 9.22 is released! 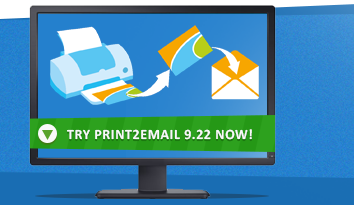 Print2Email version 9.22 is released! Improvements in the Email sending and Installation! Black Ice Software has released Print2Email version 9.22 that includes improvements for printing multiple documents with the same name at the same time to Print2Email. Additional improvements were also made to the installation to improve the user’s experience. Version 9.22 of Print2Email includes improvements for the installation to detect the 64-bit versions of the Microsoft Office 2013 to let users install the Print2Email Office Add-ons for Office 2013 64-bit. The latest release of Print2Email also includes improvements in the installer to restart the spooler service upon installing or uninstalling the Print2Email, to make sure the Print2Email files are not locked or used by another application. Print2Email version 9.22 also includes improvements in the installer to detect the already installed Print2Email MSI installer or Print2Email InstallShield installer on the computer, which needs to be removed in order to upgrade the product. Improved the installer to restart the spooler service during install and uninstall, to make sure the Print2Email files are not locked or used by another application. Stability improvement in the installer to detect the already installed Print2Email MSI or InstallShield.